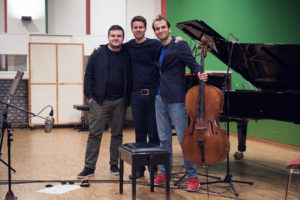 After three intense days at the Radiostudio Zürich, Christoph Croisé has together with pianist Alexander Panfilov and sound engineer Joel Cormier finished recording his new CD. The CD contains a program with works by Shostakovich, Rachmaninov, Shchedrin, Schnyder and Demenga and will be relesed next year on GENUIN. SRF2 is broadcasting the SRF Purple Night concert of Christoph Croisé on the 22nd of October at 10.06 pm. on the radio. Christoph Croisé was awarded the Swiss Ambassadors’ Award 2017. He will be playing a tour through the United Kingdom (4 concerts) and make his debut at Wigmore Hall in London. Christoph Croisé wins the Gold Medal with honors at the First Berliner International Music Competition. 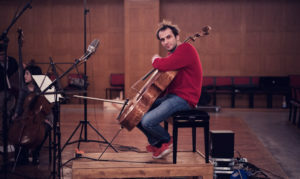 Christoph Croisé wins first prize at the Migros Competition and is now represented by the Migros Kulturprozent Konzertvermittlung. Christoph Croisé wins first prize at the International “Salieri-Zinetti” Competition in Verona/Italy. 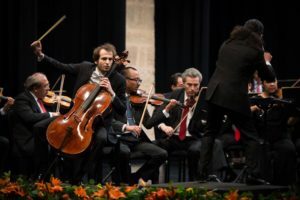 Christoph Croisé wins the 3rd Prize at the International Carlos Prieto Competition in Morelia/Mexico. Christoph Croisé wins the 1st prize at the Schonefeld International String Competition in Harbin/China. Live Broadcast of the concert from Hamburg from April 21st 2016 on NDR, 8-10 pm or follow here to listen to the podcast.